Book a flight to Roxas City. Cebu Pacific flies to Roxas twice a day. We booked using our GetGo points and got the flights for free! Ride a tricycle from the airport to Roxas City Transport/bus/van Terminal located at Pueblo de Panay. 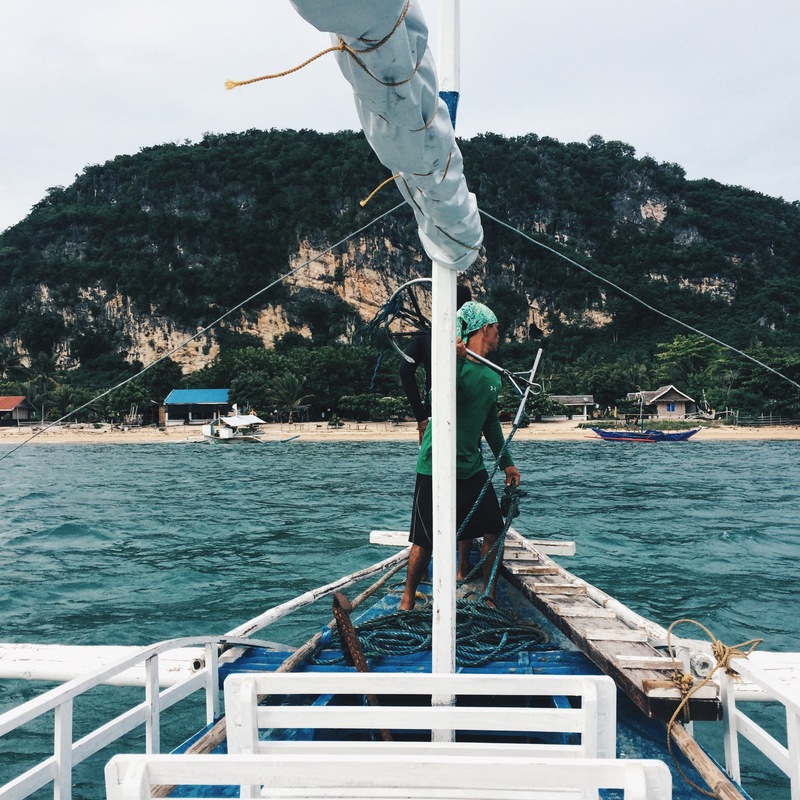 From Bancal Port in Carles, ride a public boat to Gigantes Norte, Islas De Gigantes. Take note that there’s only one trip per day to Gigantes Norte. The boat departs Bancal Port in Carles at 10:00am daily. Travel time: 1.5 hours. 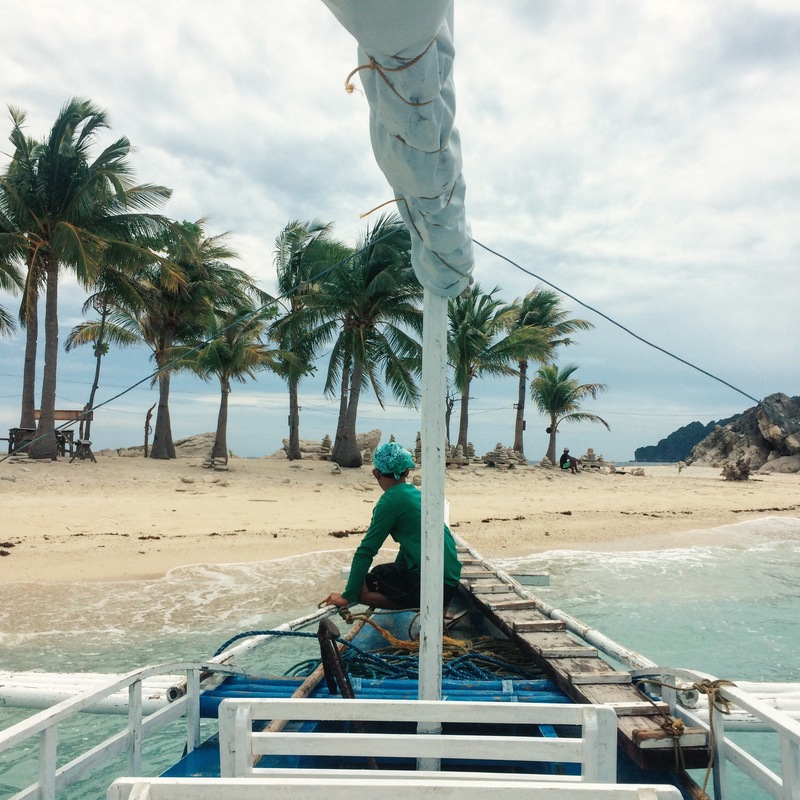 There’s another boat going to Islas de Gigantes from Estancia Port. It leaves at 2:00pm daily. The boat ride is longer if you take this route. If you’re coming from Iloilo City, Estancia Port is nearer. You may take a 2-hour van ride going to Estancia from Iloilo City’s van terminal in Tagbac. The boat ride back to Bancal Port from Gigantes Norte leaves at 1:00pm daily (once a day trip only). Gigantes Norte is where most resorts are in Islas de Gigantes. We stayed at Arjan Beach Resort located only 2 minutes away (via habal-habal) from the port. Other options are Jesa Beach Resort and Rosewood Place Resort. Arjan Beach Resort has fan rooms and air-conditioned ones for couples and groups. You may also choose to camp there if you’re on a budget. Don’t forget to try their garlic buttered scallops! 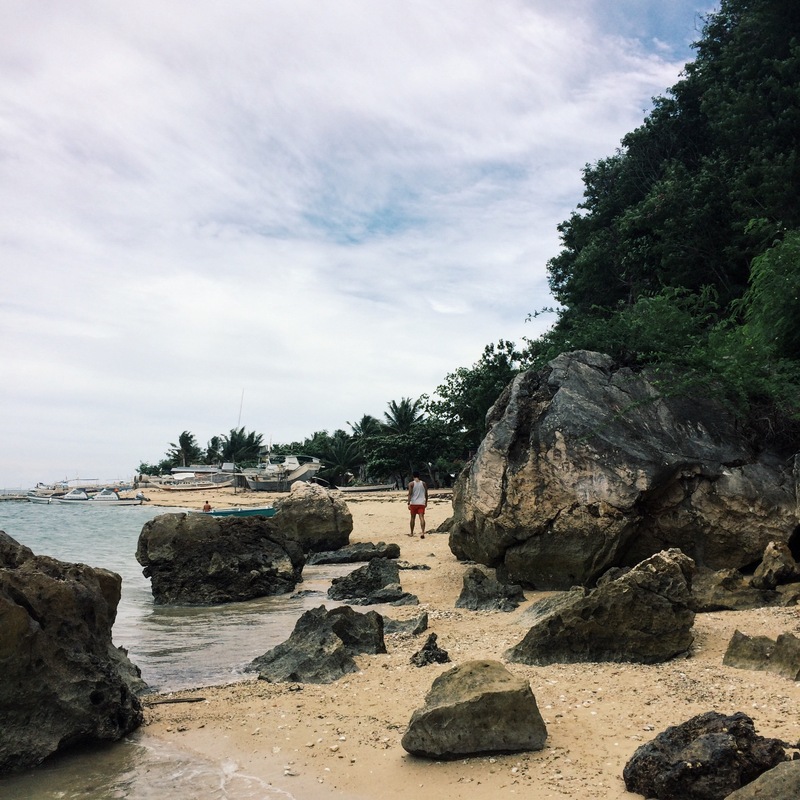 We only did an overnight trip to Islas de Gigantes coming from our Kawa Hot Bath side-trip in Tibiao, Antique. It is very do-able especially if you’re going to Islas via Bancal Port. The boat schedule gives you enough time to explore the island group. 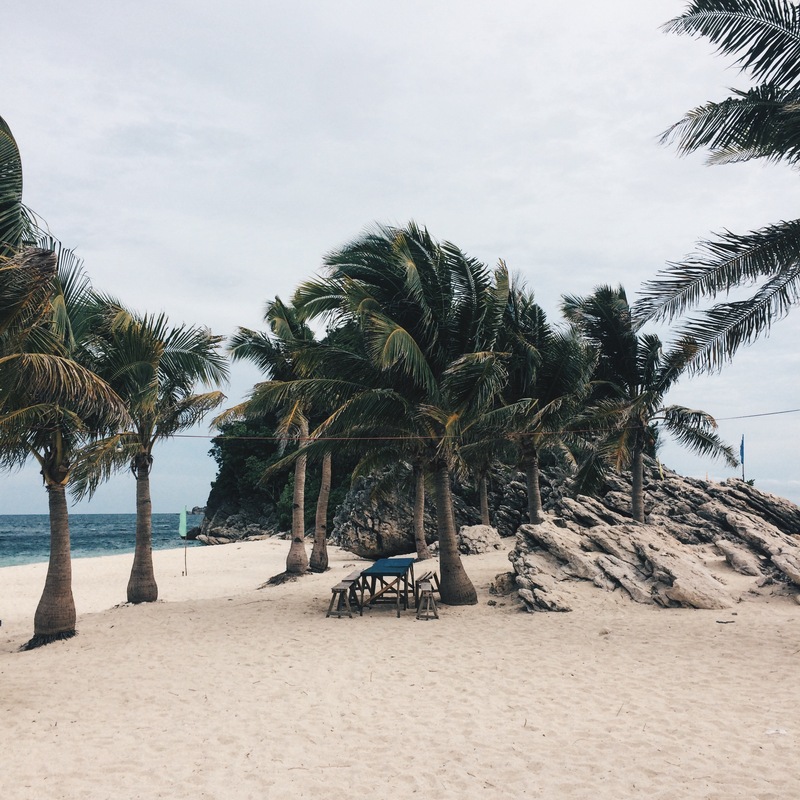 There are four must-visit sites in Islas de Gigantes namely Tangke Lagoon, Antonia Beach, Bantigue Island and the famous twin beach at Cabugao Island. All of these sites can be visited through a day-trip tour. Arjan Beach Resort offer theirs at only P1,500 for a group of 5-10 people. A day is enough to explore all four. 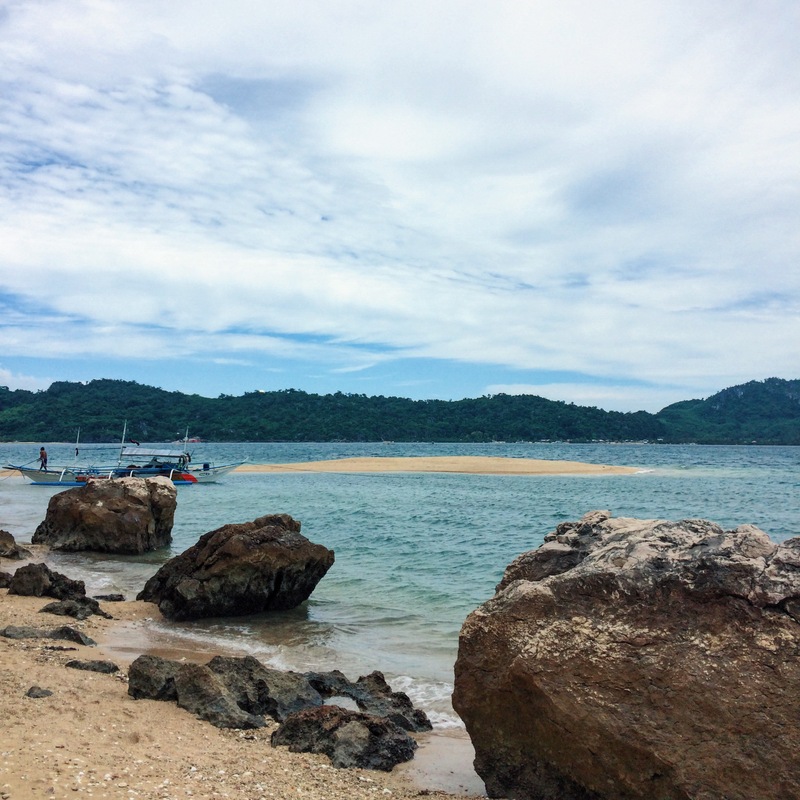 The first stop of the tour is Bantigue Island famous for its C (sometimes S)-shaped sandbar. Unfortunately, we started our tour late so we didn’t get to see the sandbar fully exposed. It’s best to start the tour in the morning (during low-tide) to have a better view of the sandbar. There’s a “paluto” on this island just in case you get hungry. Getting lost in Bantigue Island, Islas de Gigantes Bantigue Island is one of the stopovers when touring Islas de Gigantes. Its C sometimes S-shaped sandbar stretches far out into the sea. It's best to go here during the low tide early in the morning. Just a few minutes away is Cabugao Gamay Island. 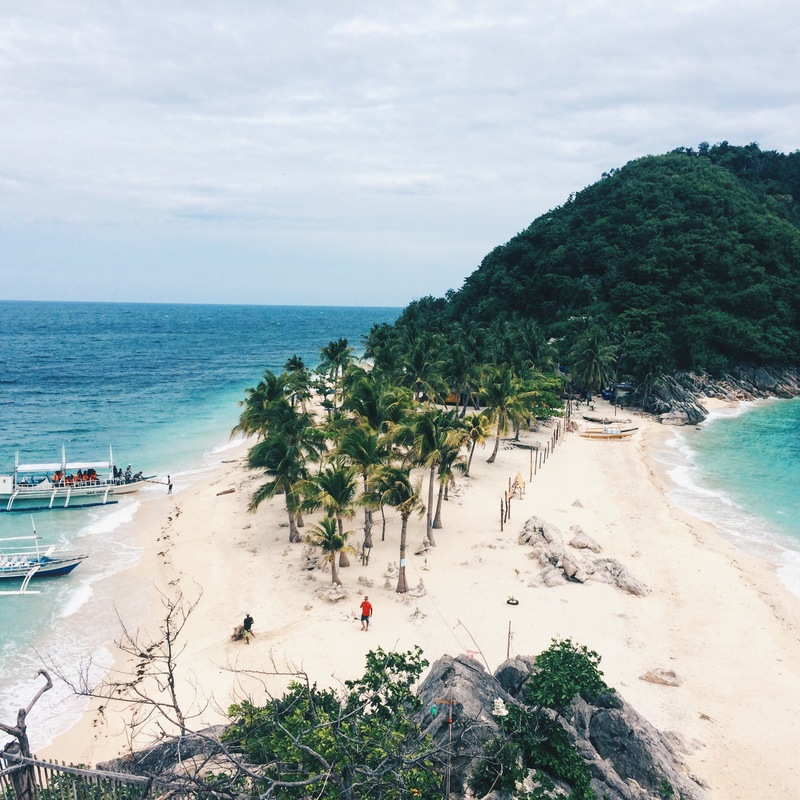 This is probably the most photographed island in Islas de Gigantes. It features a twin white sand beach. Don’t forget to go up the view point on one end of the island to have a better view of Cabugao. The beach is very swim-able. The next stop is Antonia Beach located just across Cabugao Gamay. It also has a twin beach but not as prominent as the one in Cabugao Gamay. You can order fresh steamed scallops here for just P1 per piece for a minimum of P100 per order. There are table and chair set-up around the island since it’s the usual lunch stop-over of tourists. 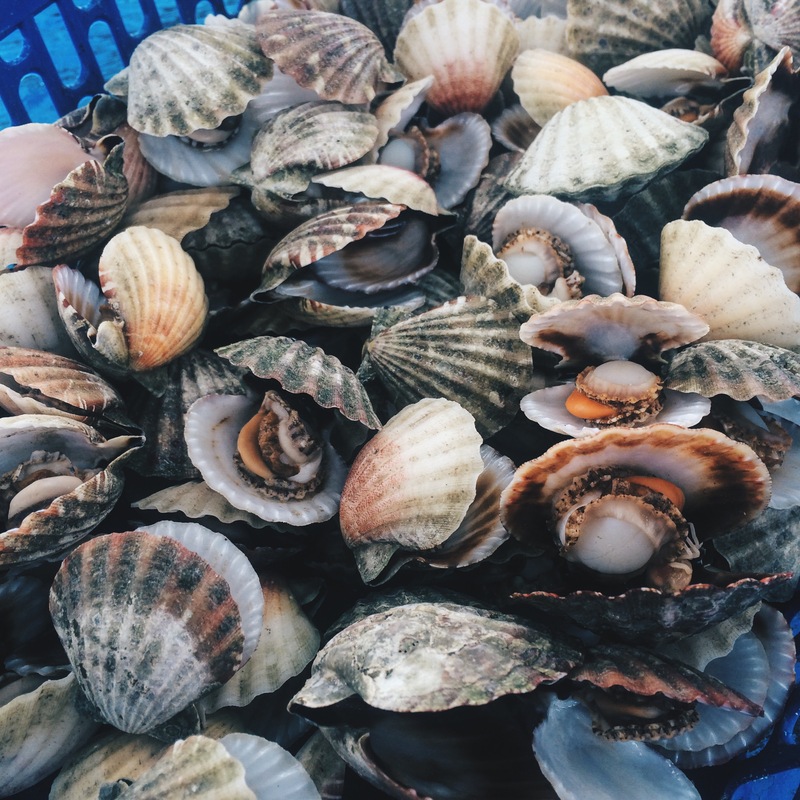 Bunch of scallops for only P1/piece – perfect with vinegar or soy sauce! 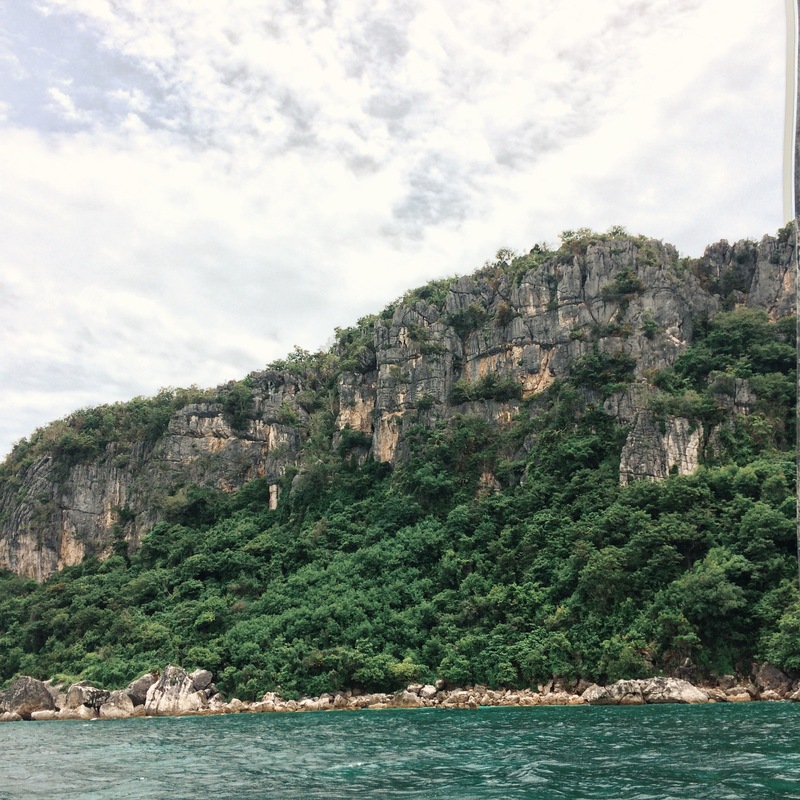 Last is Tangke Lagoon located on the southern tip of Gigantes Sur. It features a hidden saltwater lagoon surrounded by the steep cliffs of the island. Unfortunately, when we visited, it was closed to tourists because of the strong waves. According to our guide, it’s best to visit during the summer months to see Tangke. We started our tour at around 11am in the morning on our first day and got back at 4-5pm in the afternoon. You may also visit Pasil Beach the following morning located near the port. It’s a small sandbar very visible during the low-tide. We rode a habal-habal at around 8am from Arjan Beach Resort to the port and just walked to the sandbar. Be careful since the sandbar completely disappears when the tide gets high. We rode the 1:00pm boat back to Bancal Port in Carles from Gigantes Norte. The boat left at around 1:30pm and took us 1.5 hours to reach Bancal. Going back, you may ride a habal-habal or tricycle to Balasan bus/van terminal and wait for a bus to Roxas City or Iloilo City. 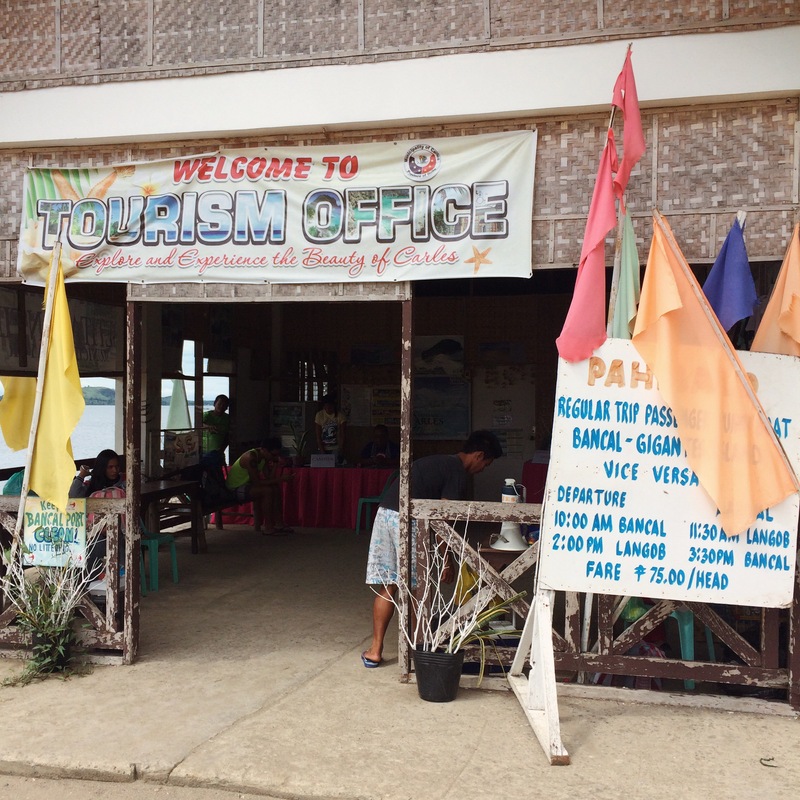 If you have more time, you may also avail of the land tour around Gigantes Norte. Habal-habal drivers offer affordable packages to see Bakwitan Cave and the Gigantes Norte Lighthouse. We recommend to be there at 12-12:30pm, a little earlier from the scheduled 1:00pm departure. Sometimes the captain can decide to leave earlier without notice. Also, remind your resort that you’re going to be taking the public boat back to Bancal. The electricity on the island is not 24/7. Be sure to bring power banks for emergencies. Signal is very limited on all major networks. When commuting around mainland Panay, take the van. It’s faster than taking the bus. Food serving time is long at Arjan Beach Resort, make sure to order your meals way ahead of time. Hi, you mentioned that the P1500 island hopping package is for 5-10 people, what if we’re just 2, are we allowed to join others until we make up a 5-10 group of people? is the island hopping tour is 1,500 for 5 people? if so, do you have the contact number of the boatman? thanks! hello. this was really helpful. do you have a contact number from arjan resort? appreciated. hi, may masasakyan bang bangka pabalik ng carles port around 3pm?